Sportstalk travelled west to Galway last Friday night to The Lough Inn Bar just off the famous Eyre Square to record our Super8’s Podcast Special for the All Ireland Hurling Final. Regular host Doran Harte former Westmeath footballer was joined by our hurling anchor Sean Og O’hAilpin and Roscommon’s Shane Curran as the football anchor. This trio were joined by 1980’s Galway winning captain Joe Connolly. 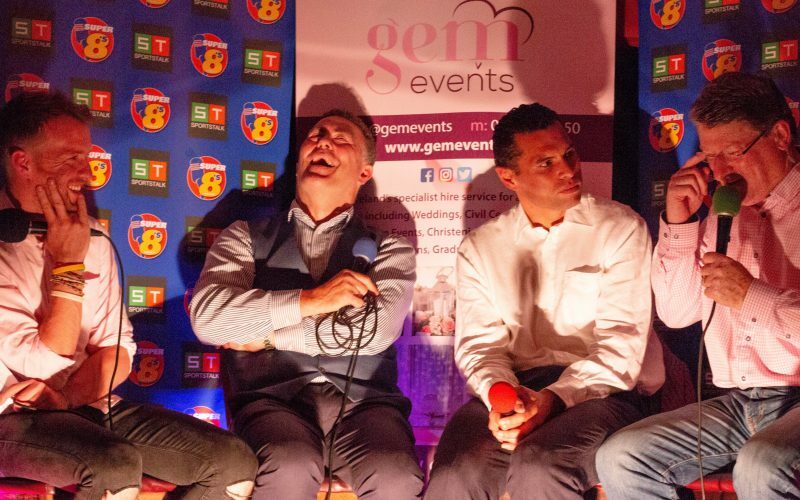 There was no doubt a couple of weeks back that The Lough Inn bar was the perfect venue for our All Ireland Preview and what we got on the night was pure gold both from a nostalgia and comedic point. Young Joe Connolly stole the show with tales from his playing career including a cracking story of Fr Iggy Clarke and the mustard seed. We would like to thank our show sponsors Gem Events.ie, ProGolf.ie & Central Truck and Plant Repairs.com – Thanks also to The Lough Inn Bar for a cracking night.